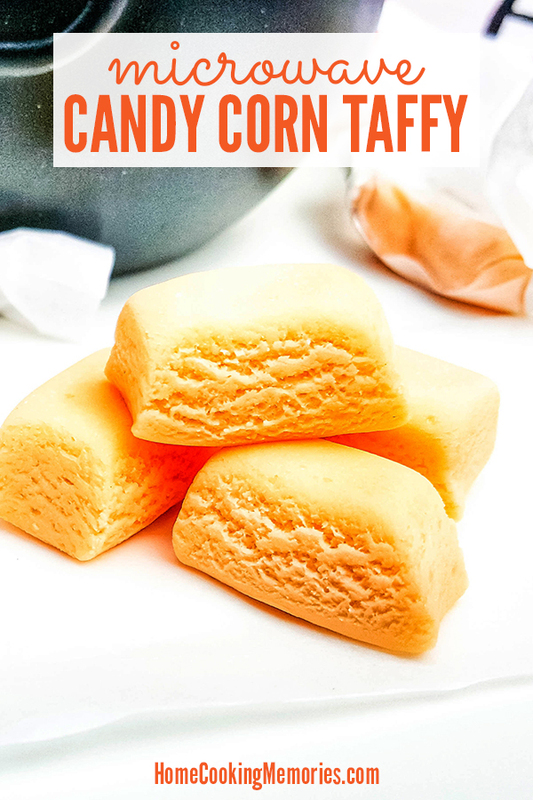 This Microwave Candy Corn Taffy recipe is an easy Halloween candy that you make with candy corn candies. You’ll only need 5 ingredients and your microwave to make this fun treat for your next Halloween parties or to give as a gift to friends and family! Love ’em or hate ’em, candy corn is the most popular of all Halloween candy. I’m a candy corn fan — and I eat each one three bites. The pointed white tip is eaten first, then the orange center, and, finally, the larger yellow part at the base. I don’t eat a ton of them, but every Halloween, I do enjoy a handful of them. Candy corn is also great for use in all sorts of Halloween treats or decorations. You can have a basic cupcake and top it with a few candy corn and instantly you have a Halloween cupcake. 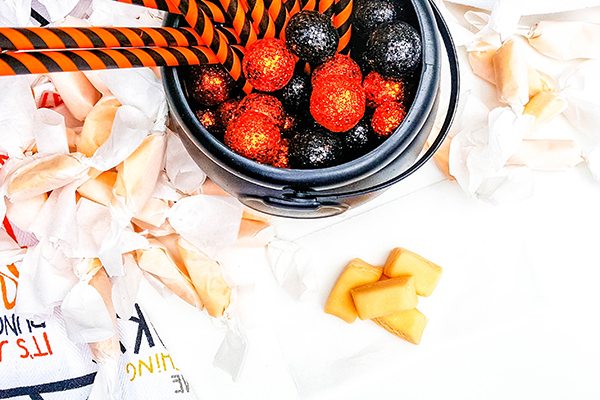 Or scatter them on a dessert table as edible confetti to add a festive look to your Halloween party. They are truly the most iconic of all Halloween treats! Today we’re sharing a fun treat that you can make with candy corn: Microwave Candy Corn Taffy! This recipe only has 5 ingredients, with candy corn being the main ingredient. It’s made completely in your microwave, making this an easy Halloween candy that you can make yourself. To make this Microwave Candy Corn Taffy recipe, you’ll first start with making what we call a simple “frosting”. It’s simple heavy cream beaten together with powdered sugar. Make this first and set aside until later. Next, you’re going to melt together your ingredients in several steps. We recommend melting each of the ingredients in this recipe is short intervals of no more than 30-seconds at a time. In between each interval, give the ingredients in the bowl a stir to see if they need to return to the microwave for additional time. The key here is that you want to melt the ingredients gradually, not fast. You start with melting the candy corn in a microwave-safe mixing bowl. Once it is soft and melting (it doesn’t have to be completely melted), you’ll add your white chocolate chips and proceed with melting them in the microwave in short intervals, stirring in between each microwave melting session. 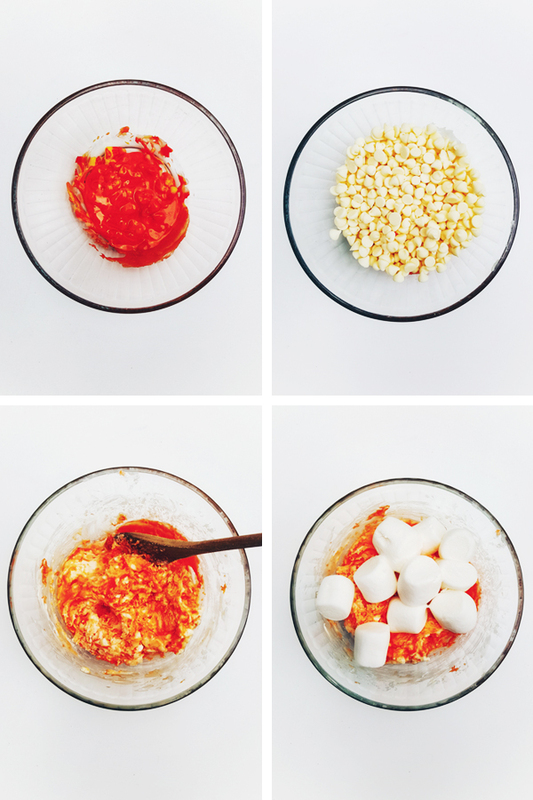 Finally, you’ll top the candy corn/white chocolate mixture your marshmallows. Place back into the microwave and heat until the marshmallows begin to melt and get all puffy. Remove from the microwave and stir together with the melted candy corn and white chocolate. Scrap your melted mixture into the bowl of a stand mixer. Don’t worry if you don’t have a stand mixture, you can do this with a hand mixer, if needed. It will take more time though, so we do recommend the stand mixer if you have one. Beat the mixture until it is room temperature. Remember that “frosting” that you make. This is where you use that. Add 1 cup of the “frosting” into the room-temperature candy corn mixture. Beat until the taffy lightens in color and starts to lose its glossiness. Beat in additional powdered sugar ¼ cup at a time until you can touch the taffy and it does not stick to your hand (about ¾ cup). Sprinkle powdered sugar over a large piece of wax paper, and place the taffy on top to rest for a few minutes. Divide the taffy into four pieces, coat your hands in powdered sugar, and start pulling and folding it. Keep coating your hands in powdered sugar, if needed, to keep the taffy from sticking to you. Roll out the taffy into thin logs and then cut the logs into small, bite-sized taffy pieces. Wrap the individual pieces of Microwave Candy Corn Taffy into small squares of wax paper and twist the ends. 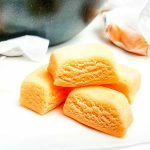 This Microwave Candy Corn Taffy recipe is a great holiday treat to make for Halloween parties or for giving away as a fun gift for your favorite people. This recipe is also easily adaptable to candy corn that you can find in stores during other holidays. For example, you can use the Thanksgiving candy corn, which is brown, orange, and white. Or use the Christmas candy corn that is green, white, and red. There is even Valentine’s Day candy corn, which comes in pink, red, and white. 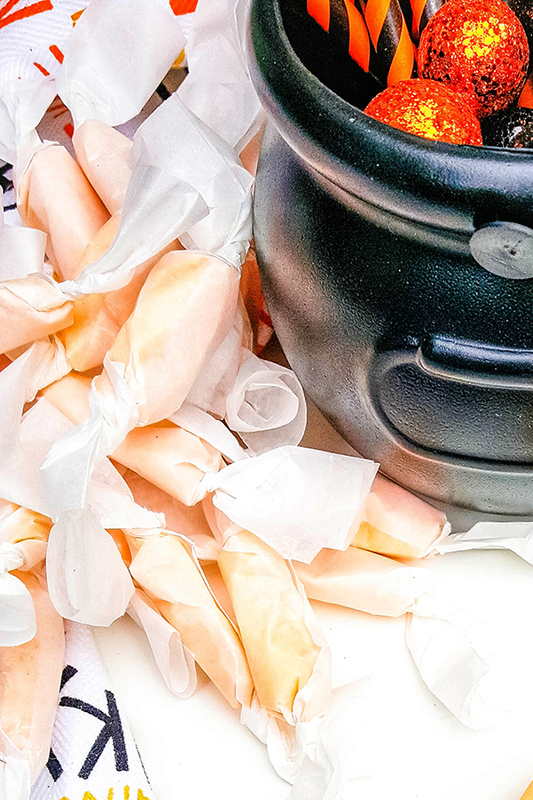 Here’s the full recipe to make your own Microwave Candy Corn Taffy. If you like this recipe, we’d love for you to share it with your family and friends on Facebook or to pin it on Pinterest. 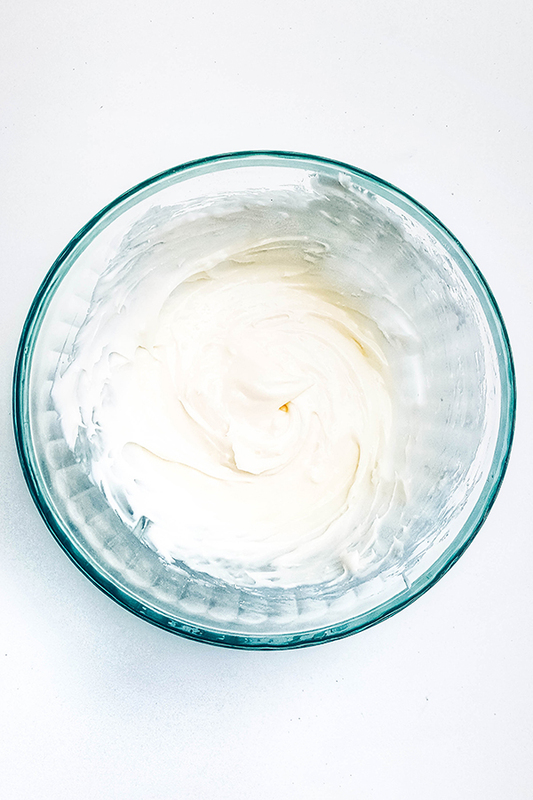 In a small bowl, make a batch of thick “frosting” by mixing together powdered sugar and heavy cream. Set aside. In a large microwave proof bowl (that will fit in your microwave), heat the candy corn in 30-second intervals, stirring in between, until candy corn begins to melt. Add in the white chocolate chips and continue to microwave, in 30-second intervals, until soft. Place the marshmallows on top of the mixture, and microwave once more until they get puffy. Scrap the mixture into the bowl of a stand mixer, and beat until room temperature. If you don’t have a stand mixture, you can do this with a hand mixer, however, it will take more time. Add 1 cup of the “frosting” that you previously made into the candy corn mixture. Beat until the taffy lightens in color and starts to lose its gloss. Beat in additional powdered sugar ¼ cup at a time until you can touch the taffy and it does not stick to your hand (about ¾ cup). Sprinkle powdered sugar over a large piece of wax paper, and place the taffy on top to rest for a few minutes. Divide the taffy into four pieces, and start pulling and folding it, coating your hands in powdered sugar as needed to avoid sticking. Roll out the taffy into thin logs and cut into small pieces. 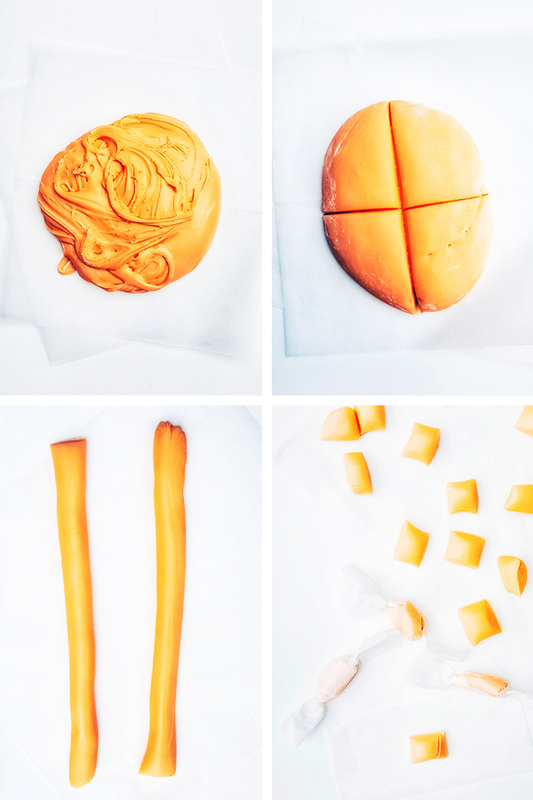 Wrap the individual pieces of taffy in small pieces of wax paper and twist the ends. I don’t love candy corn, but I don’t hate it either. This candy corn taffy sounds like a fun make. I’m going to try it. Thank you for sharing at Snickerdoodle Create Bake Make.